ADN vs BSN: Which Nursing Degree Is Best for Me? Nursing is a profession with many options for entry and advancement. Nursing school degrees range from Associates to Doctorate levels and everything in between. Each nursing degree offers its own level of career potential and lifestyle satisfaction. On this page, you’ll learn about ADN vs. BSN degrees so you know which is right for you! There are two common ways to become a nurse: get your Associates degree in nursing; or earn your Bachelor degree in nursing. I obtained my associate degree in nursing in 2011. I choose this degree based on its prompt level of employment entry. I wanted to start working as a nurse as quickly as possible. My plan was to go back to school at a later date for an advanced degree. Many nursing Associate’s degrees can be obtained within two years if you go full time. Upon graduation, most students are able to enter the workforce in two years, versus the traditional four-years it take to complete a Bachelor degree in nursing. Associate degrees are ideal for individuals looking to enter the nursing workforce as soon as possible. There are some drawbacks of going the nursing Associate’s degree route, two of which stand out. These drawbacks are the career limitations of having an ADN and the lack of leadership preparation you will get in an ADN program. In addition to the difference in curriculum and preparation, many institutions are now looking for bachelor degree nurses only and prefer not to hire associate educated nurses. Some hospitals, including those who are striving for or have Magnet status, and those in the Veteran’s Administration (VA) will no longer hire an associates nurse. Demand for nurses who meet the educational standards of an ACEN accredited school’s baccalaureate program are on the rise. Why Won’t Some Hospitals Hire ADNs and LPNs? When healthcare is a business, employers and leaders must seek highly educated individuals to lower the potential of risk. While a two-year associate courses allow students to enter the workforce, it often does so at the cost of leadership and theory based education and even some clinical experiences. Nursing leadership courses are just not built into the standard two-year nursing curriculum. This lack of knowledge can inhibit nurses who have an Associate’s degree from advancing toward managerial positions. This is also the reason that most healthcare institutions require the managerial nursing staff to have their Bachelor degree in Nursing. What if I Already Have an Associate Degree in Nursing? This does not mean you are at the end of the line. In fact, like I said before, an ADN is a great starting point in the field of nursing. Two years after I obtained my RN in an Associate nursing program, with the support of my family I decided to go back to nursing school. I obtained my bachelor’s degree in nursing (BSN) in 2013. Like many nurses, my Bachelor’s degree in nursing was obtained at the urging of my employer. I was politely nudged toward obtaining my BSN degree as my institution was applying for Magnet status. This accomplishment required a certain percentage of nurses to have bachelor degrees. One positive attribute of the Bachelor degree is diversity of nursing opportunities when it comes to employment. With your BSN degree in hand, you could be more prepared for work in a wide variety of medical settings with the appropriate qualifications. Whether it’s critical care or dialysis nursing, there are many options available to a nurse who has a Bachelor’s degree. 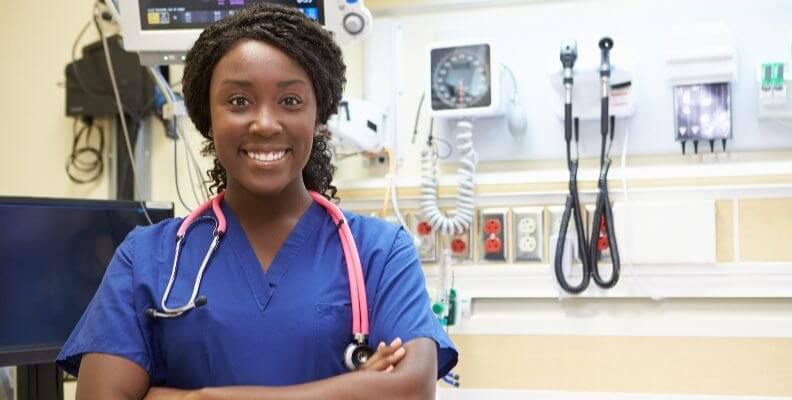 Having a bachelor degree in nursing doesn’t mean you’ll always get the job you apply for, but you will likely be perceived as more attractive to many healthcare facilities. Again, healthcare is a consumer product, and with each award or credential a facility strives for, the threshold for advanced degree nurses is on the rise. The only drawback I can see in the Associate vs Bachelor’s degree in nursing question on the BSN side, is the time and cost requirement. Four years is the typical time frame needed to obtain a nursing Bachelor’s degree, though with some fast track programs this is shortened. How quickly do you want to get into nursing? How far do you want to take your nursing career? What kind of healthcare facility or unit do you want to work in? How much time, support and what kind of resources can you dedicate to becoming a nurse? When considering which nursing degree is best, I recommended that you factor in your lifestyle, financials, time provisions, and career ambitions from the start. Be smart and do your research, so you can position yourself on a path toward a nursing career you can be satisfied with. And remember, a well educated nurse is a powerful thing! Nurse Nacole is a board certified registered nurse, blogging about advanced nursing education and being a new nurse. On her self-entitled blog, Nurse Nacole posts daily nursing tips, along with advice on nursing academics, licensing exams, professionalism and nursing school success. Nacole is currently in school to earn her DNP and become a Nurse Practitioner.